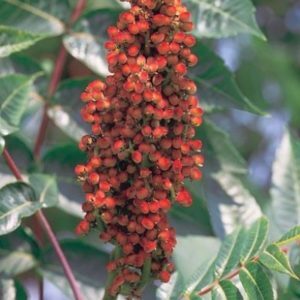 Aromatic sumac is a deciduous shrub that is easily grown in average, dry to medium, well-drained soil. 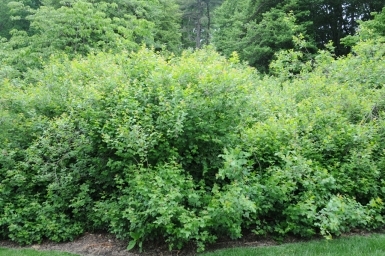 This shrub spreads by root suckers to form thickets in the wild. Trifoliate, medium green leaves turn to shades of orange, red, and purple in the fall. 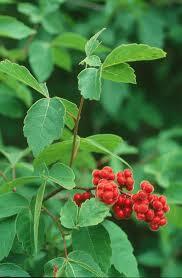 Leaves and twigs are fragrant when bruised or crushed. 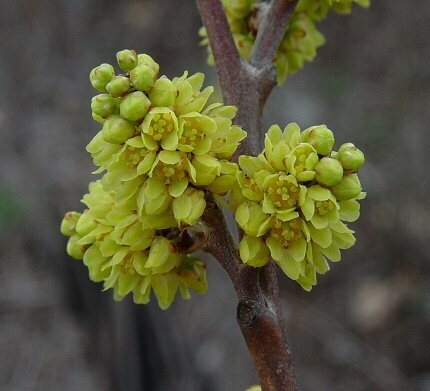 Tiny yellow flowers appear at the twig tips before the leaves in early spring. 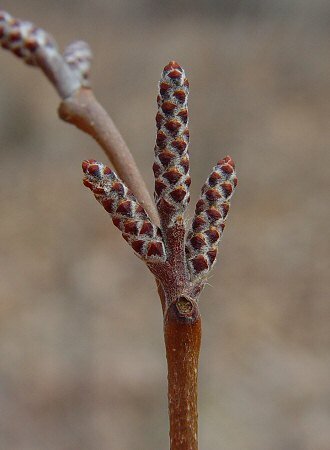 Small clusters of hairy, red berries appear in late summer and persist into the winter to add winter interest to the landscape. Fruit is attractive to wildlife. 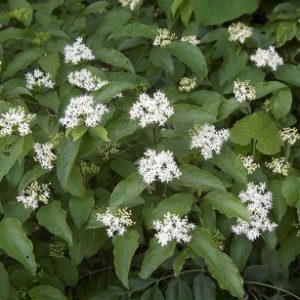 Used for stabilizing hard-to-cover areas with poor soils. 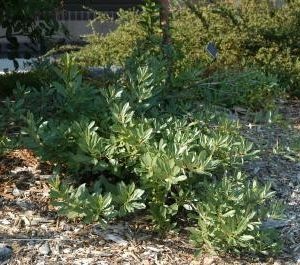 Tolerates rabbits, drought, erosion, clay soil, dry soil, and shallow-rocky soil. Full sun to part shade.